Come along to Hailsham Jewellers on Hailsham High Street (near Eastbourne in East Sussex) and enjoy our relaxed atmosphere and a huge range of jewellery at really competitive prices. Take your time to look at our modern and antique jewellery collections, our watch selections and even explore the possibilities of creating a unique piece to celebrate that special occasion. We’d love to assist you with whatever you need. We stock Citizen, Radley and Sekonda watches as well as a range of quartz and mechanical pocket watches. Our jewellery brands include Kit Heath, Carrie Elspeth, Fiorelli Silver, Henryka and Fred Bennett Men’s jewellery as well as an outstanding range of Amber jewellery. If you are looking for high-quality products and outstanding customer service, you have found the perfect jewellers as we have over 30 years of experience in the retail jewellery industry. Our customers have remained loyal for many years and enjoy our convenient location on the High Street in Hailsham near Eastbourne. You can ask us to help with a whole range of services too – from jewellery repairs, clock and watch repairs, watch battery and strap fitting, pearl re-stringing, jewellery valuations, engraving and the buying of your old and unwanted gold and silver. You can always be assured of good advice and personal friendly service at Hailsham Jewellers. How are we competitive? Hailsham Jewellers is proud to be one of the founder members of Jewellers Ark, a co-operative of independent jewellers from across the UK. This makes us part of one of the largest independent buying groups which allows us to offer you really competitive prices in our online shop. Why not contact us or drop in and see us and meet our team. We are conveniently situated in Hailsham High Street close to the seaside town of Eastbourne in East Sussex. We fit good quality batteries, straps and bracelets to all makes and models of watches. No amount too small. 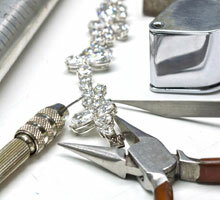 Turn your unwanted, old or broken jewellery into cash. From a single earring to a precious coin collection. We offer a full jewellery repair service including: replacement catches, chain repairs, ring sizing, replacement stones, re-stringing beads and pearls, re-plating, full restoration and refurbishment, cleaning and polishing. 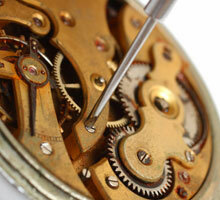 We can repair all makes of watches, from new glasses, catches and winders to full overhauls and restorations. We can repair both quartz and mechanical clocks. 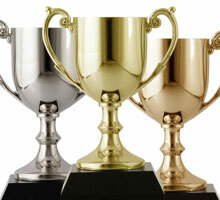 We can engrave all manner of items including trophies, tankards, plaques, pens, lighters and glassware. We can also hand and seal engrave. We can offer full written insurance valuations for all your jewellery. We also have regular jewellery valuation days throughout the year with The Guild of Valuers.